Thank you, amazon! Both the soft cover and hard cover editions of Opal are on sale. If you’re planning to give any Opals as Christmas gifts, now is the time to purchase them. I love a good sale! How exciting! Take a look at this promo for the Opal short stories and tell a friend. We had a great time at the Mississippi Book Festival. 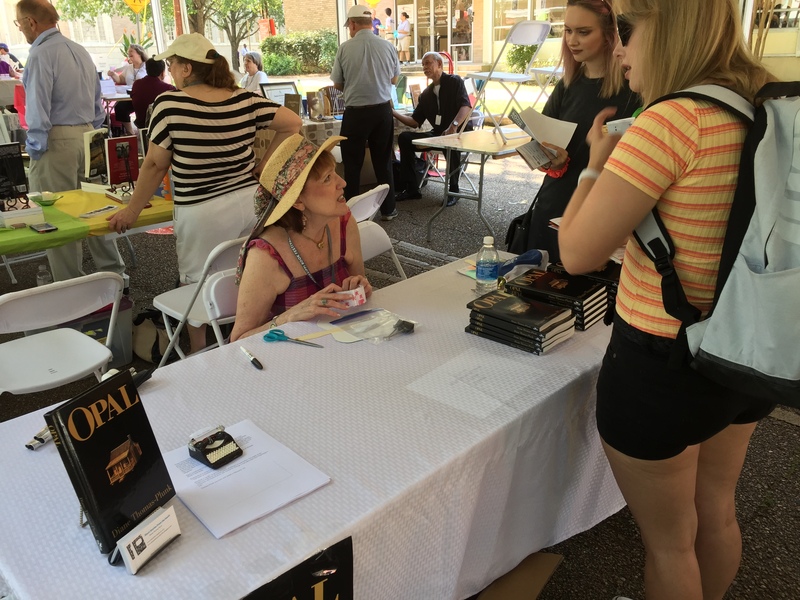 Talked with other authors as well as guests who were interested in Opal. If you have a group that would like to invite me for a signing, just write a message here. And let it fall softly at your feet. Standing here waiting for you. This Saturday, the 29th, I’ll be doing a book signing for Opal from noon – 2 p.m.at the South Main Book Juggler in Memphis. The book store is located at 548 S. Main, just two doors down from the famous Arcade restaurant. Books will be available for purchase at the reading/signing, but, if you can’t get there, Opal is still available on amazon.com. IT’s OFFICIAL!! I’ve been accepted as one of the more than sixty authors and artists to display our work at the annual Mississippi Book Festival in August on the grounds and surrounding area of the state capitol in Jackson, MS. In addition to our area, there’s a section for book sellers and another for children’s books. Inside the capitol will be individual speakers and a variety of panels. Publishers’ reps will also be circulating. This is the third year of the “literary lawn party” which last year drew 6,500 guests. I am so honored that my application passed muster. If you’re in the area, come see me. Off tomorrow to Marvell, Arkansas for a meet-the-author tea. And I’M the author! Woo hoo! I’ll be chatting and responding to Q&A about Opal and will find time to pop down a scone as well. I love to get together with book lovers, so contact me if you have an invitation. Go to comments on this website. Really enjoyed being back in my old stomping grounds to do an Opal book signing — and visit with old friends. The following is a post after the event from an attendee. SO generous in her observations. The birth was not a joyous one. Just another little Irish girl born in The Pinch, an area in Memphis next to the Wolf River lagoon, so named for the pinched look of the underfed residents. Mary Elizabeth saw the birth’s blessing, however. “Katie, Molly, come see your new little sister,” she called as soon as the midwife allowed. “What a precious blessing she is to push the sad shadows from our hearts.” It was exactly five weeks and one day since her husband’s funeral mass. Michael James was buried in consecrated ground at Calvary Cemetery, but there was no money for a marker. No matter. Few outside The Pinch cared for the death of a poor Irishman anyway. 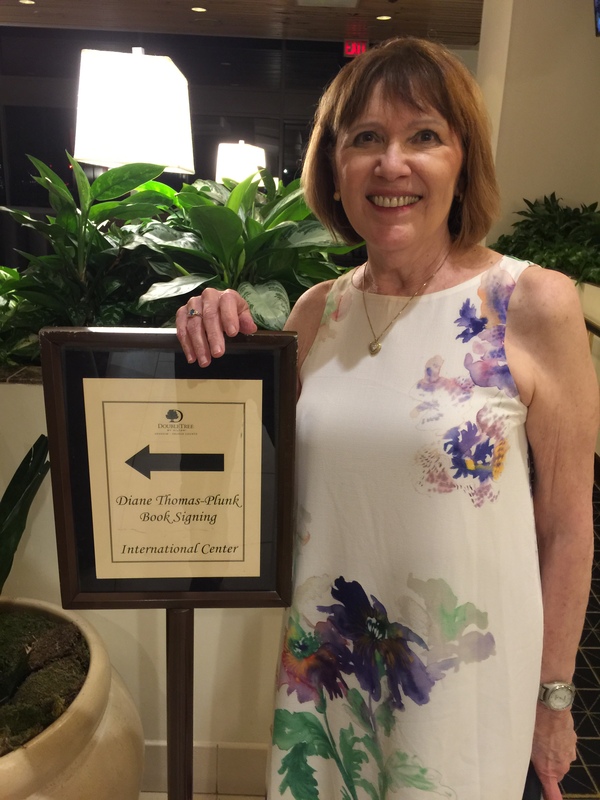 Diane Thomas-Plunk was accepted this year as an Authors’ Alley participant at the prestigious Mississippi Book Festival which last year attracted 6,500 guests. A Pushcart Prize nominee, she was also recognized by NPR when her entry was designated a “favorite” in the Three-Minute Fiction contest. Her story, “Cassie’s Chair,” was a finalist in the Nivalis 2016 short fiction competition. More than a dozen of Thomas-Plunk’s short stories and poetry have appeared in Deep South Magazine, Belle Reve Literary Journal, The Dead Mule School of Southern Literature, Steel Toe Review and China Grove Magazine. 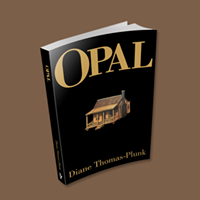 Opal, a collection of related short stories set in 1950s rural Mississippi, is Thomas-Plunk’s first book. Opal Pratt shuns confrontation like a yard dog shuns a skunk. In this book you’ll see her as a plain, reclusive spinster who’s not afraid of people; she just avoids them. Yet, when push comes to the inevitable shove, she overcomes fears and reluctance and steps up for those she loves. In this collection you’ll also meet the stripper, the pregnant teenager, the immigrant Baptist preacher, Opal’s only suitor, the County sheriff and his nearly out-of-control deputy, the blind shopkeeper, and Opal’s young friend, Billy. Thomas-Plunk was born and raised in Memphis, TN.